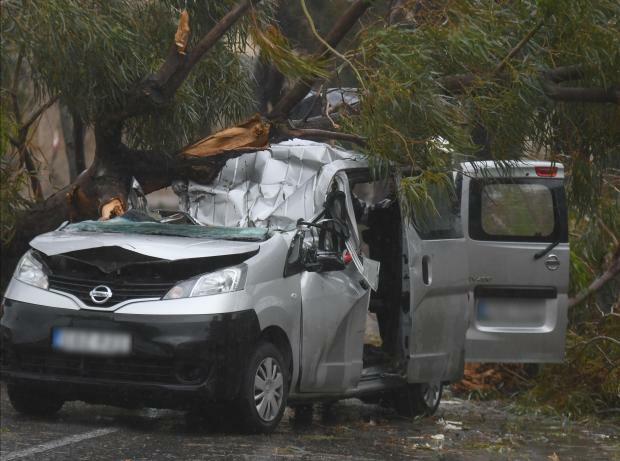 A driver was killed and his wife is in critical condition after their vehicle was hit by a tree in stormy weather in Mrieħel early Saturday morning, police said. Details of the incident are still sketchy though witnesses believe the tree crushed the Nissan vehicle as it was being driven past. It appears that part of the tree trunk crashed directly through the windscreen on the driver's side. Malta was hit by torrential rain and strong winds overnight, prompting flooding in several areas. The driver, a 38-year-old, and the woman, 32, are Romanian nationals living in Mosta, the police said. The couple have a seven-month old baby. The unfortunate incident in Mrieħel left one dead. The police said they were alerted to the incident in Triq Notabile around 6.30am as Civil Protection Department rescuers were on site to extract the victims from the wreckage. The driver was pronounced dead on the spot. The road both ways was closed to traffic for several hours. A magisterial inquiry is under way. Police are investigating. Meanwhile, a vessel ran aground at Qawra as a result of the rough seas. The Hephaestus, a 60-metre Togo-registered tanker broke its moorings near the area known as Is-Sikka l-Bajda. Those on board, all foreign nationals, were evacuated and no injuries were reported. 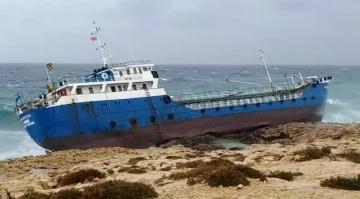 Many took to social media to highlight the fact that the boat ran aground on the anniversary of St Paul's shipwreck to Malta in AD60. 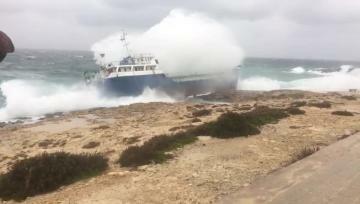 In a statement, Transport Malta said its maritime pollution response team, together with the civil protection and the police were on site to monitor the vessel. The tanker had no cargo onboard and there was no risk of pollution risks. The vessel had some four cubic meters of fuel on board but there was no risk of it seeping out. Environment Resources Authority officials were also monitoring the site to pre-empt any environmental damage. The authorities were currently investigating the accident and planning a salvage operation that would be put in action as soon as weather conditions improve. The vessel ran aground in Qawra.